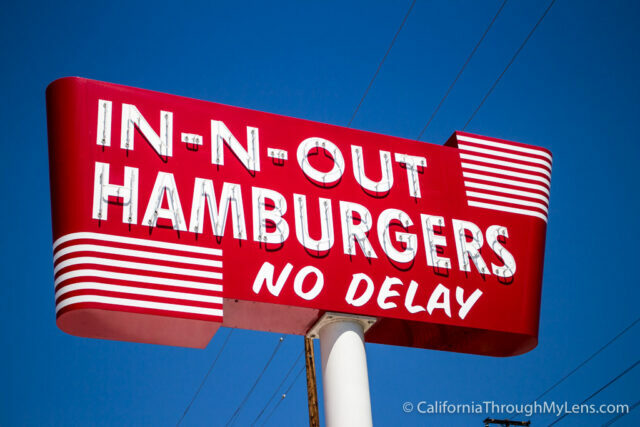 Is there anything as California as In-N-Out Burger? 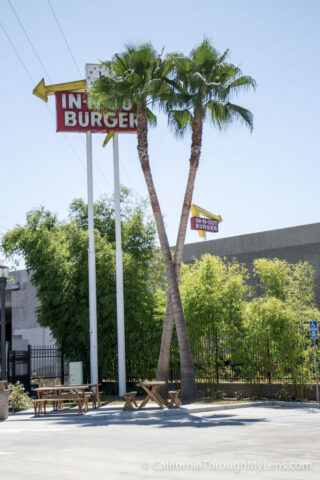 People from all over the United States make it a stop as soon as they exit their plane into our state and people who leave California to live in greener pastures always yearn for the crossed palm trees that symbolize In-N-Out. I am just another of the In-N-Out fans, so on a trip into LA a few weeks ago I stopped by the replica of the original In-N-Out in Baldwin Park, CA. 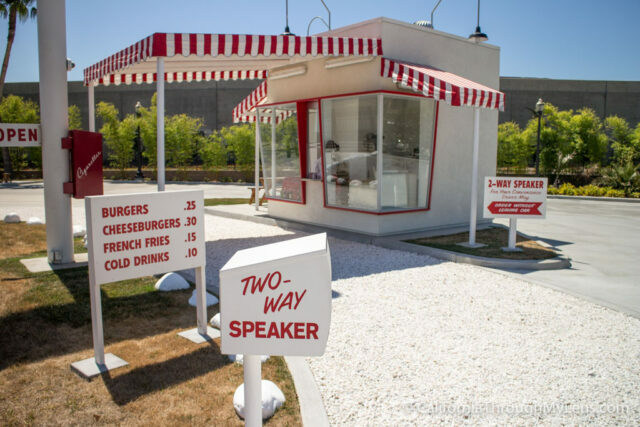 I say replica as the original was demolished to make way for the 10 Freeway decades ago, but that being said the replica is an amazing step into the past that all In-N-Out fans should make the trip to, here is all the information. 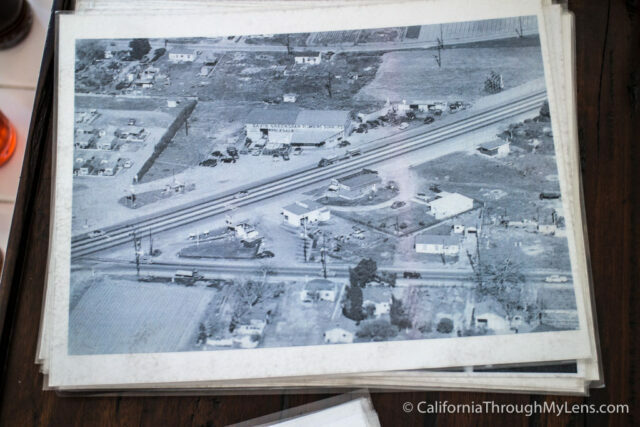 You will learn a lot of this information when you visit the location, but the brief history of this spot is as follows. 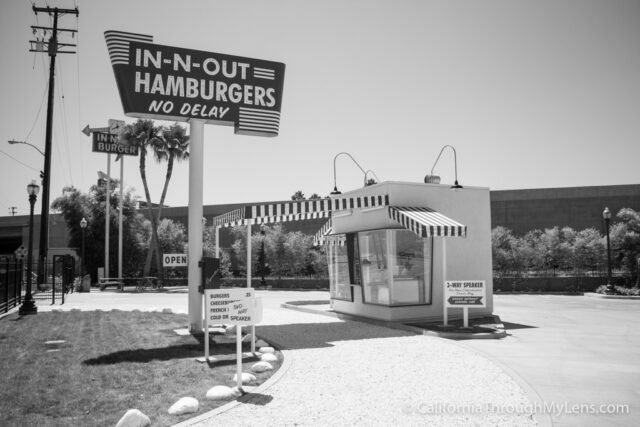 The first In-N-Out was opened in Baldwin Park in 1948 by Harry Snyder; now they have over 300 locations in multiple states. Where do the crossed palm trees come from? I was interested in this, so I asked, and I was told the owner liked a movie called Mad Mad World which features the trees. 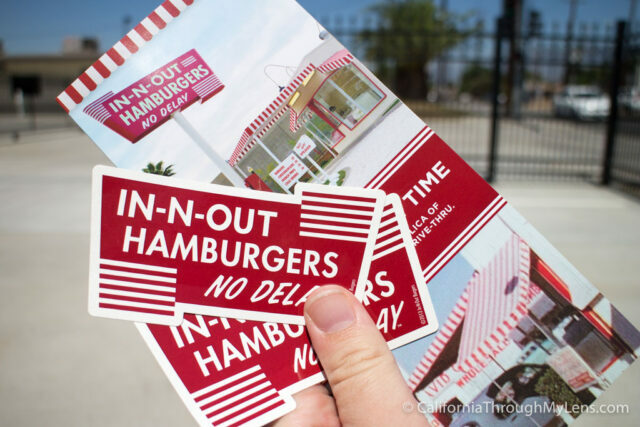 Because of that, he incorporated them into the In-N-Out logo in the 1970’s. When I pulled up into the parking lot for the original In-N-Out, I was immediately greeted by a worker who operated the station during the short time it is open on the weekends. She was great and told me all about the history of In-N-Out while letting me explore the interior and exterior of the replica. 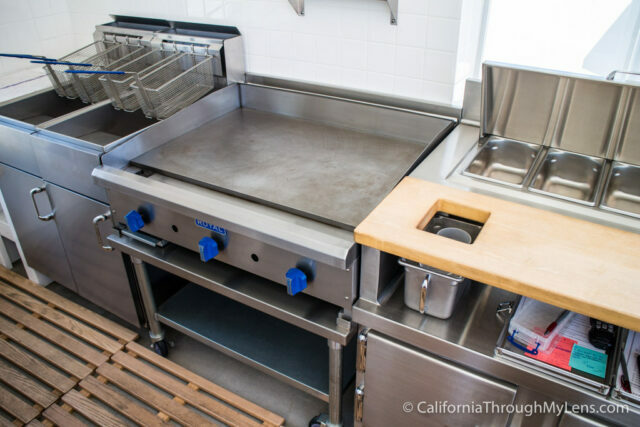 The interior is full of renditions of the original equipment from the first store; I found this to be a great way to showcase where In-N-Out came from. 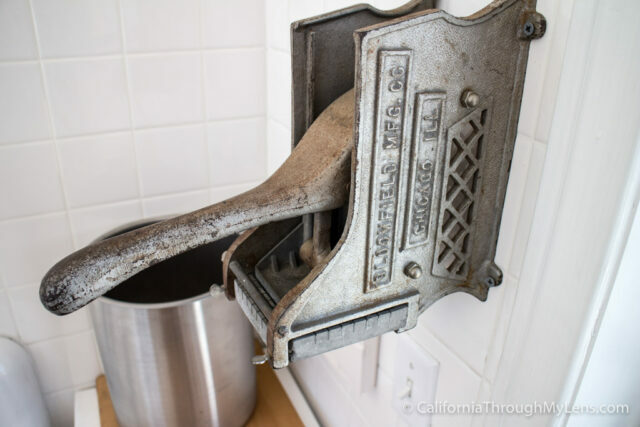 They have an original cheese grater, fridge and cooking surface. All of which has been meticulously recreated to give it an authentic feel. You can walk around and explore all of this to your heart’s content. 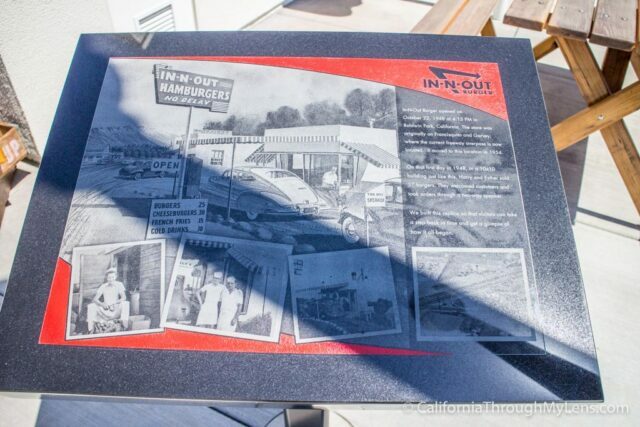 Outside they even have a potato washer from the original store, and there were a bunch of old black and white photos, showcasing the original location and other parts of In-N-Out’s history as well. After walking around the interior, I walked through the old drive-thru, complete with a sign showing how cheap the burgers were. 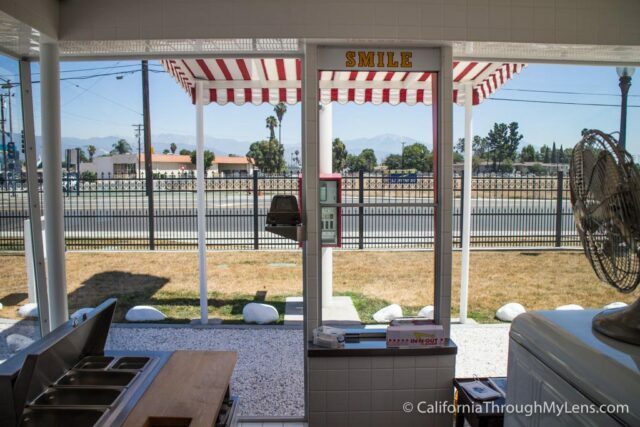 They also had an old cigarette machine in the drive-thru, that was a fixture of the drive-thru when it opened. As I was walking through the drive-thru the worker opened the window and gave me a sticker and info on the original In-N-Out which was a fun touch. In the back corner, there is a set of picnic benches and of course the famous crossed palm trees of In-N-Out fame. You can’t order food here, but there is a real In-N-Out and the In-N-Out University (for training employees) on the other side of the freeway, so it is an excellent place to get your fix. All in all, this is a fantastic little spot to explore, I loved my time here, and I recommend you check it out as well. Do make sure to go when the location is open though or else you will just be able to look at it from outside the gate. Let me know your thoughts in the comments.